Talon brings you perhaps the most unique guitar pick for sale ever made. Talon's patented design unleashes the precise amount of attack, precision, and bite that you didn't even know you were missing out on. 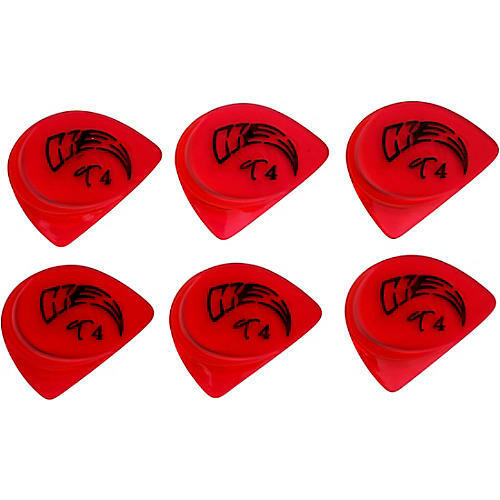 The T4 versions offer the tightest feel, and brightest tone of Talon's picks, while giving you direct contact on the string so you can choose exactly how much attack and response each stroke should have. What’s more, all you have to do is rotate 90 degrees to revert to the traditional flat pick method. Even within the same song it is sometimes necessary to have an entirely different dynamic. This incredible non-slip guitar pick works for both acoustic and electric.